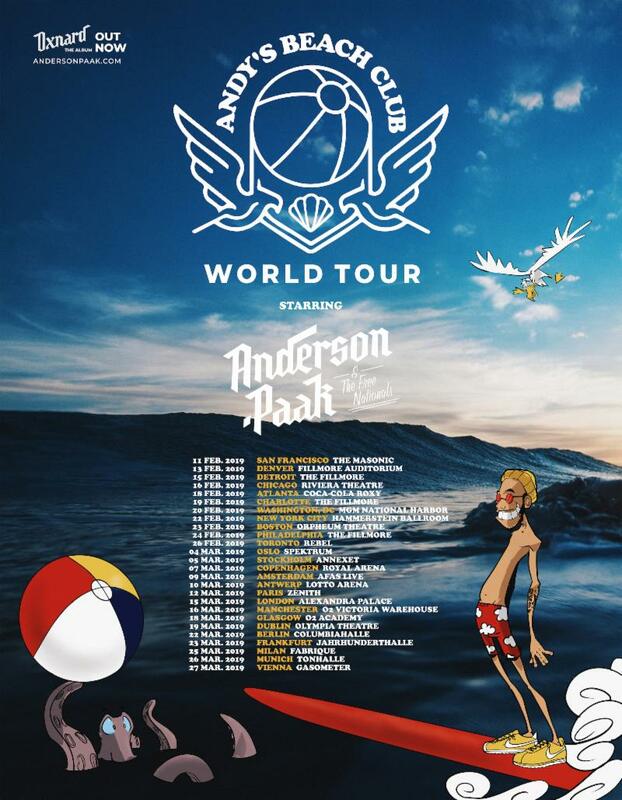 Anderson .Paak has announced ‘Andy’s Beach Club World Tour’ on the heels of his recently released Oxnard LP. The tour kicks off February 11th in San Francisco, CA, and will span 25 cities across the US and Europe, concluding on March 27th in Vienna, Austria (full tour dates can be found below). Tickets will be available to the general public this Friday, December 7th at 10am local time via LiveNation.com.